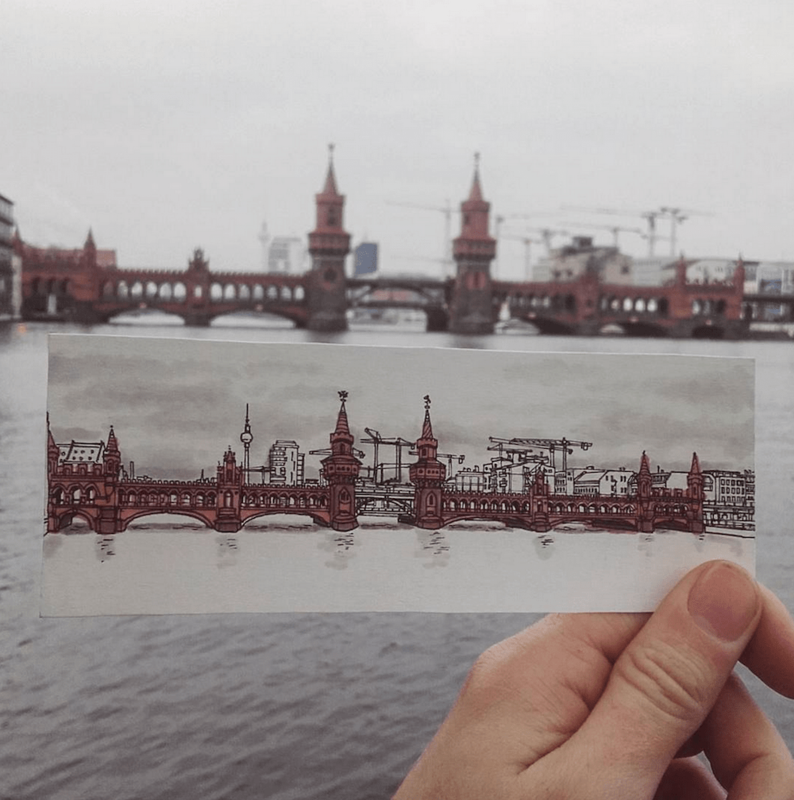 Oberbaum Bridge, winter in Berlin. Going back to something a little more recognisable. The Oberbaum Bridge over the mighty River Spree. Looking west with the Berlin TV Tower in the distance. This red brick bridge was built in 1896 over an existing wooden bridge dating back to the 1730s. In 1961 the bridge became part of the Berlin Wall border between east and west. Connecting Friedrichshain with Kreuzberg.